Coca-Cola Amatil’s (CCA) Rum Co of Fiji brand has launched two award-winning premium rum ranges in Australia. First launched in Fiji in 2014, the super-premium Ratu and premium Bati ranges are blended from globally awarded rums, before being filtered through coconut shell charcoal and matured in specially selected oak barrels in time-honoured tradition. CCA’s Managing Director of Alcohol & Coffee, Shane Richardson, said the company was “genuinely excited” to be bringing these award-winning rums to Australia. “Rum is Australia’s fourth largest spirit category and what’s most exciting for us is that we’re seeing consumers starting to explore the different styles and flavours rum has to offer, and appreciate its versatility. That’s a great driver for growth,” Mr Richardson said. Both the Ratu and Bati brands are built on an ethos of authenticity and hard work, drawing their inspiration and their identities from their Fijian heritage. The Ratu brand was named after the Ratu chiefs, who presided over the community and led the country’s fearsome warriors known as Bati. “We believe that our Rum Co of Fiji range brings a unique proposition to the Australian rum market,” said CCA’s Senior Brand Manager Blake Kramer. The Ratu range includes a five-year-old spiced rum (awarded silver medal, world’s best spiced rum 2016), a five-year-old dark rum (world’s best dark rum 2016) and an eight-year old Signature Liqueur, which was named the world’s best rum in 2015. The Bati brand is available in spiced, dark and white. 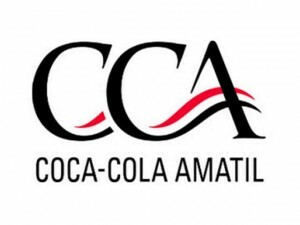 “The launch strengthens Coca-Cola Amatil’s position as one of Australia’s leading premium alcoholic beverages distributors, complementing its already extensive premium spirits portfolio, thanks to a long-term partnership with Beam Suntory, the world’s third largest spirits company,” CCA said in a statement.